While everyone’s paying attention to finding the best bed mattress which will be as reliable and comfortable, there’s one thing not many people pay attention to. It’s the bed frame. The bed frame is one of the most crucial parts that supports your mattress and your complete weight. Yet, there are some people who are probably wondering where to buy bed frames. On the other hand, most people purchase the bed frame by the looks, there is much more to it. But one of the most crucial things is to make sure you find a good and reliable store that specializes in bed frames. You wouldn’t go to your dentist when you have the flu, right? The same rule applies to choosing the store for a bed frame. While it might be one of the things that people struggle with, in this post you will find a list of stores that you should definitely have a look at. It’s most likely that they have a bed frame which you’re looking for, and which will fulfill all your needs. So stay tuned, prepare your coffee and get ready for browsing! On the list below, you might find the stores you probably had in mind already, but also some you didn’t even expect to find a bed frame in there. So let’s start with checking out the places to buy bed frames. Being one of the most popular stores for furniture and almost everything related to home, you could never be wrong expecting to see bed frames in Ikea. While Ikea is being considered to be one of the most affordable and too simple home stores, I really like their elegance and the quality of their products. In case you already have a bed frame type you’re looking for, I’m 97% sure that you’ll find it in Ikea. Ikea has all types of bed frames including full, king, queen, and single bed frames. It even has loft bed frames and bunk bed frames. With a wide choice they provide, I’m pretty sure that they won’t leave you disappointed. That’s why Ikea should be your first choice. In case you’re located in the United States, it’s most likely that you’re familiar with Walmart. Now, if you didn’t know, Walmart offers bed frames and everything related to the bedroom too. You shouldn’t take it for granted, and you should definitely check it out. I’ve listed Walmart as a number two on this list because it’s available to almost everyone in the United States, and yet they offer really quality bed frames of all kinds. Just like other big home stores, Walmart has a plenty of bed frames to offer and it might be your best choice. If you have a Walmart close to you, feel free to check out the bed frames next time you go in. You can also check it online. Home Depot has probably one of the largest bed frames collection to offer. They offer some bed frames that I have never even seen in my life. It’s probably a store that you had in mind already, but you should definitely have a look at their bed frames. If you’re looking for something unique, Home Depot might be a good store to visit. On top of the most common bed frames they offer, you will also be able to find adjustable bed frame constructions, Hollywood bed frame types, and many others. In case you’re looking for more than one thing related to the bedroom, Home Depot is the right place to buy everything at one store. Everyone is familiar with Amazon, but some of you might be surprised to know that Amazon sells bed frames too. Amazon is usually used to purchase electronics and other smaller items that are helpful in our everyday lives. However, they offer everything. And when I say everything, I literally mean everything. You name it, and I’ll find it on Amazon for you. A great thing which I really like about Amazon is their filters which allow you to find the best selling or best-rated items really quickly. There’s also always a customer’s reviews which can help you choose a bed frame even if you have never seen it in person before. Amazon has a lot to offer, and when it comes to bed frames, they offer a wide choice to choose from. What I really like about Wayfair is their simplicity, yet a great bedroom department that has a lot to offer. You’ll be able to find anything from single bed frames, to innovative bed frames, and adjustable bed frames. One of the things I’ve noticed is that Wayfair has very reasonable prices and yet they still offer great quality products. It’s definitely a good store full of choices to check in case you’re still looking for that special bed frame for your bedroom. 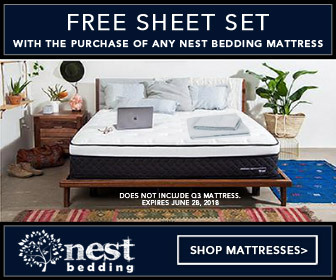 Even although the name of a company is Mattress Firm, it’s obvious to notice that they’re selling everything related to bed. If you’re not looking to buy a bed frame in a store such as Walmart or Home Depot, and you’d prefer a company that specializes in bed frames and items related to bed – Mattress Firm is the right way to go. In case there is something you’ve been looking for and you couldn’t find it in any previous store, it’s most likely that Mattress Firm has it. In case you don’t have a Mattress Firm store near you, no problem. They have an online shop and they deliver worldwide. Sometimes, there are quality places to buy bed frames all around you, and you shouldn’t underestimate a store. While not every store might not be suitable for your needs, most of these stores probably have a type of a bed frame you’re looking for. In case you were wondering where to buy bed frames at all, I hope that you have a bunch of options now. Use them wisely, compare the quality, brands, and of course prices to get the most value for the price you pay for.